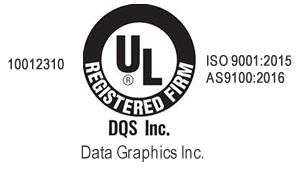 Adhesive Backed Labels Offer the Perfect Bond | Data Graphics Inc. Adhesive Backed Labels Offer the Perfect Bond | Data Graphics Inc. Looking for a label that can stick to almost any surface and is trusted by major companies? 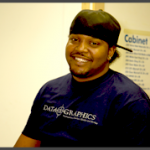 You want adhesive backed labels from our team at Data Graphics. Get a quote on the specific label you need today. We feature a fast, efficient manufacturing process that allows us to complete an amazing 60% of our orders ahead of schedule! Adhesive backed labels can be screen printed, flexo printed, thermal transfer printed, hot stamp printed or digitally printed. Our advanced facility includes all the equipment you need for custom adhesive labels. Our custom adhesive labels can be designed to withstand harsh environments, including those with exposure to strong chemicals and salt water. Some of our custom adhesive labels even resist ultra-violet sunlight and widely varying temperatures. We continually invest in our facilities, equipment and certifications to guarantee you get lasting quality you can trust. As suppliers to big-name clients, we only complete your order with proven techniques and production equipment. Your order will never be a beta test for some unproven process or equipment. We produce barcode labels with a strong adhesive backing that are nearly impossible to pry off of expensive equipment. Each label has a unique identity, its own serial number and its own barcode, cutting down on your theft risks. These labels need to last. When someone removes these labels, it leaves behind evidence of tampering. 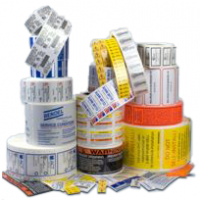 We generally recommend polycarbonate or plastic labels for permanent adhesives. Have a vital safety label? Our extra permanent adhesives offer an even stronger bond when general purpose permanent adhesives aren’t enough. Our adhesive will adhere to tough surfaces such as powder coat, metal, rubber, aluminum and ABS plastic. As a supplier for many major electronics manufacturers like Samsung and Toshiba, we know how to produce labels for fragile electronics. Our general purpose removable adhesives are perfect when you need to peel away a label from expensive equipment without leaving behind any residue. Super removable adhesives are used on custom labels so they won’t damage the object they are stuck to. We’ve printed these labels for lenses, touch screens and other extremely delicate products.